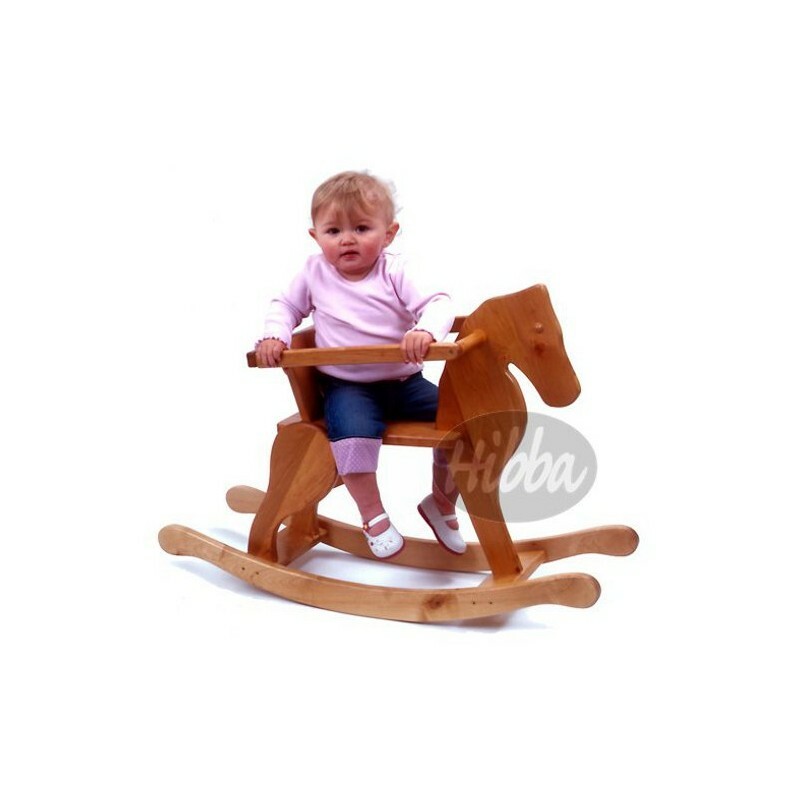 We know this wonderful Rocking horse will bring a smile to any toddler's face and be a showpiece in any home. Crafted by hand by our master craftsman, this unique designed wooden rocking horse has been finished to an exceedingly high specification. The wood used is birch and is from sustainable resources. 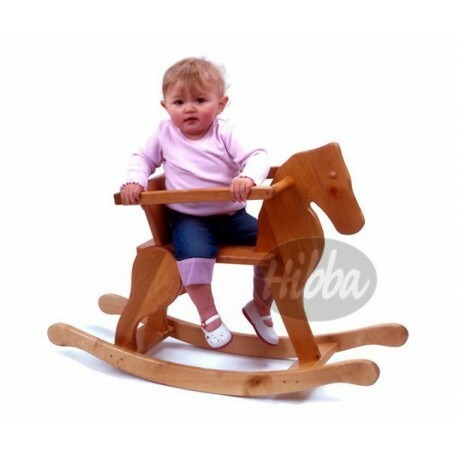 With smaller children you can put them on the seat and then swivel the wooden frame over them to prevent them from falling out, but when they get bigger you can swivel the frame over their head and they can use it as stirrups. A great design. This wonderful Rocking Horse that grows with your child through his toddler years is an asset in any home. The horse is absolutely immaculate and is buffed to a natural soft sheen finish.